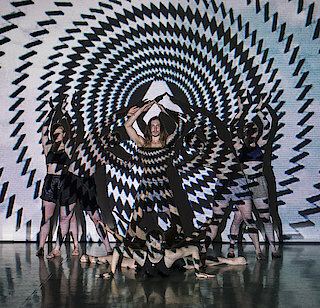 Here at the UK Focus Forum join artists and producers from the UK to explore women in choreography and dance, their contribution to knowledge development, creation of new ideas and practices. They explore how the environment needs to change to support the development, exposure and positioning of UK based female choreographic voices in the international dance scene. With a chance to see work in development by choreographers Rosie Kay [MK Ultra] and mysteryskin led by Roberta Jean [Brocade]. Panel session will also include Rosie Heafford [second hand dance]. Rosie will present Getting-Dressed as an Open Studio at 17:45.